Have a cow fan in your home? 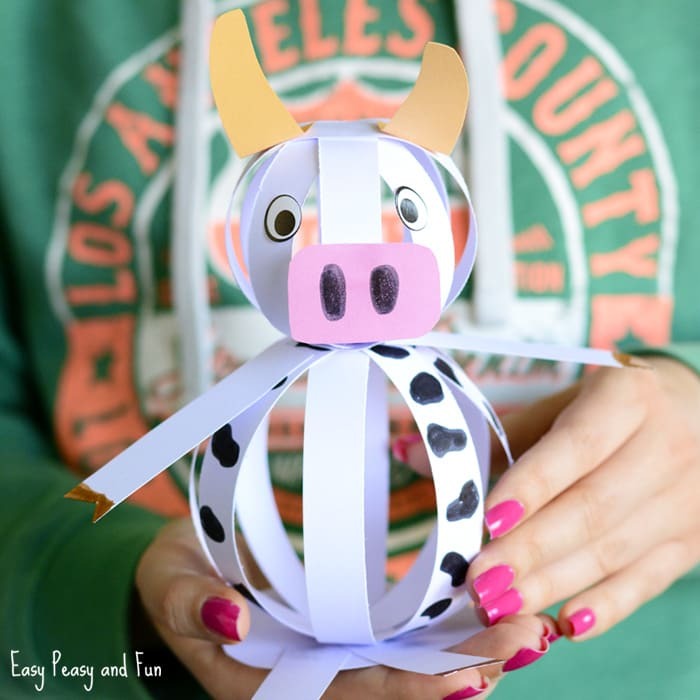 We have the most adorable and easy paper cow craft to share with you today! Cows and bulls are fun! They are gorgeous animals and if you ever had a chance too see one you have to agree they have the most gorgeous eyes in the animal kingdom. 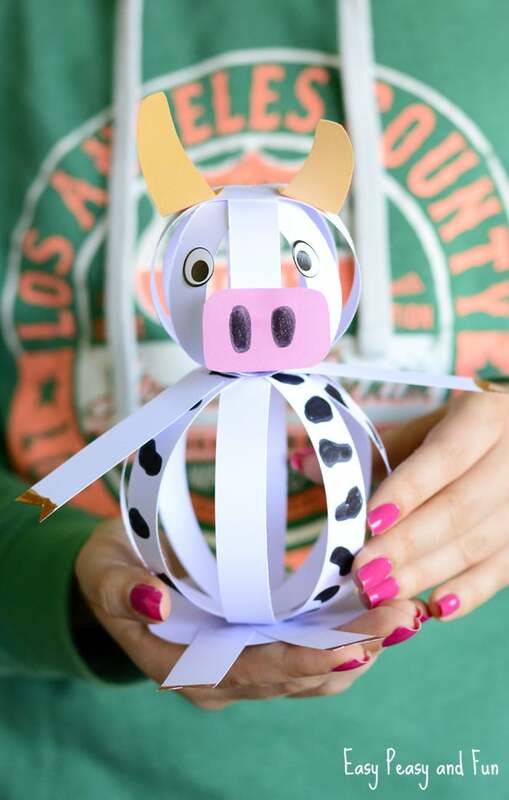 We though it was about time to up our collection of farm animal craft ideas, as there aren’t many (yet) on our website and this cow craft idea is just the first of many you will see in the coming weeks. And it’s not the only cow craft either. 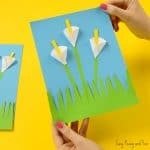 We have been super crafty with paper as we love quick, easy and frugal crafts and there aren’t many crafting materials as frugal as paper, and there certainly aren’t many as versatile. Ready to make this silly cow? 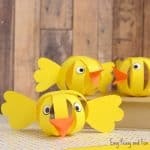 Let’s get crafty! Let the fun begin! 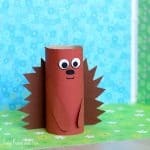 You can watch our video tutorial or go through our photo paper craft instructions to also learn some tips and tricks. Cut strips of paper. Ours were about a “finger” wide. We used 4 longer strips for the body and 4 short strips for head. 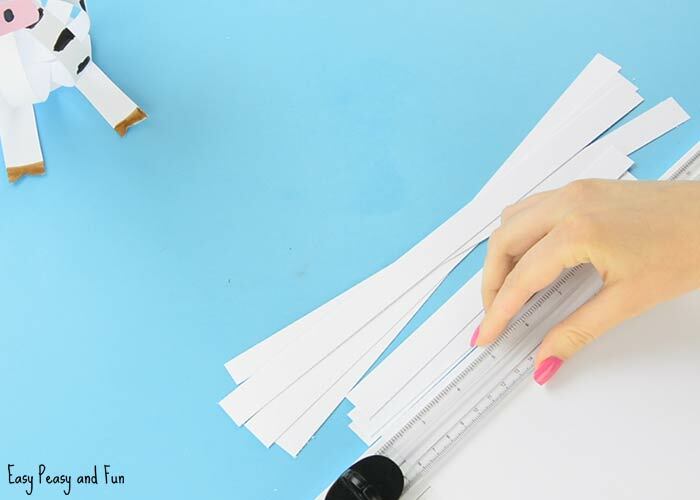 Depending on the width of paper strips you might need more or less (less if they are wider). We cut the long strips across the length of the A4 / letter sized paper and the short ones across the width of the paper. Super easy to measure them that way. 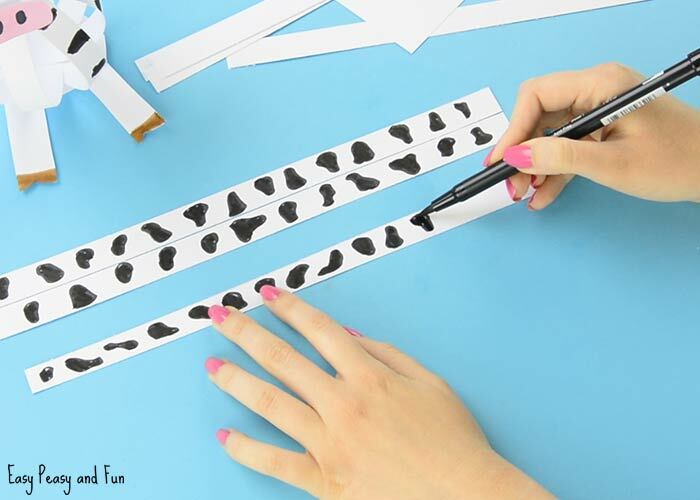 Take 3 (or all) of the long paper strips and draw black spots on them to give your cow some fur texture. You can do them on the short strips too, but the craft will look nice even if you don’t. Take all 4 long strips and gently fold them on the middle – this will make it easier to make the next step. You will do the same with the short strips too. 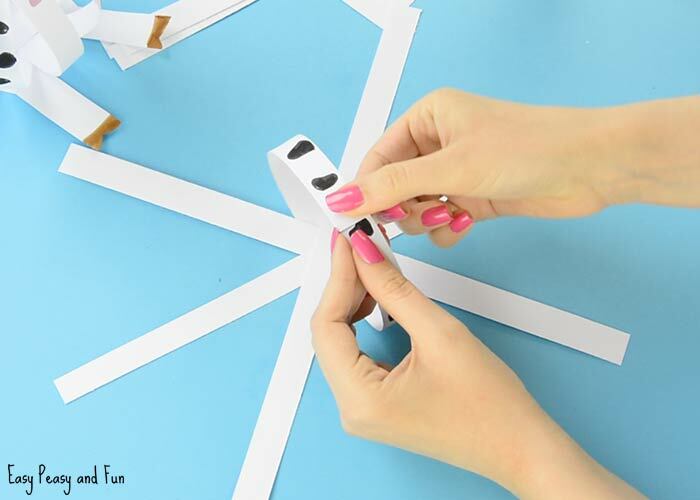 Glue the strips together in the middle. 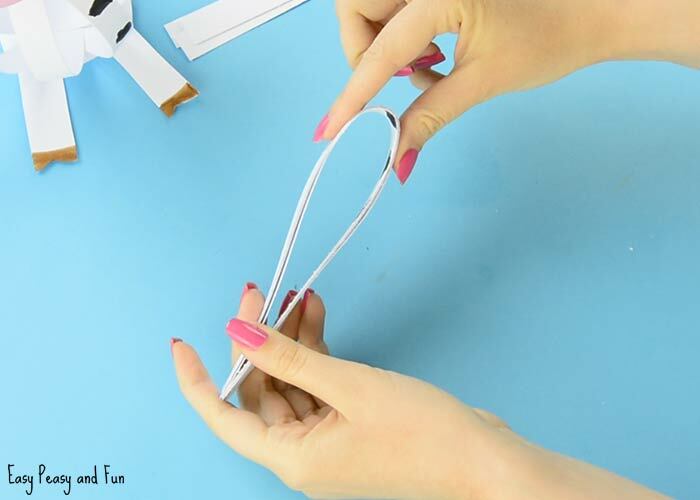 Start by gluing the two at a 90 degree angle – making a cross. Glue the other two in between the first two. 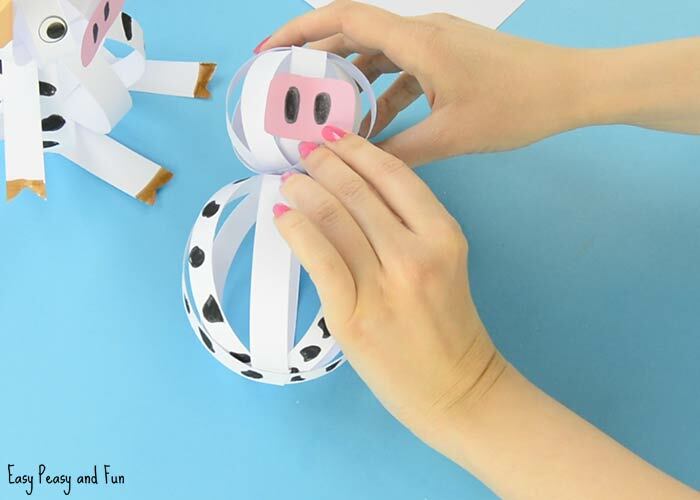 Now let’s make a paper ball. 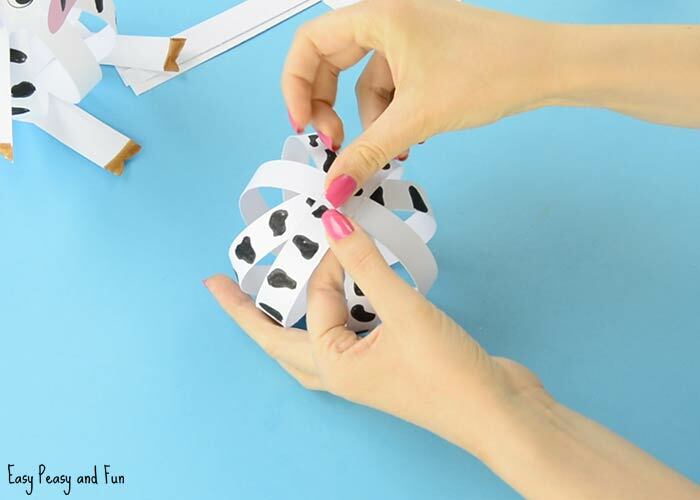 Loop the paper strips and glue them together at the top. Work your way through all the strips until you get a ball. Repeat the steps with the shorter strips. 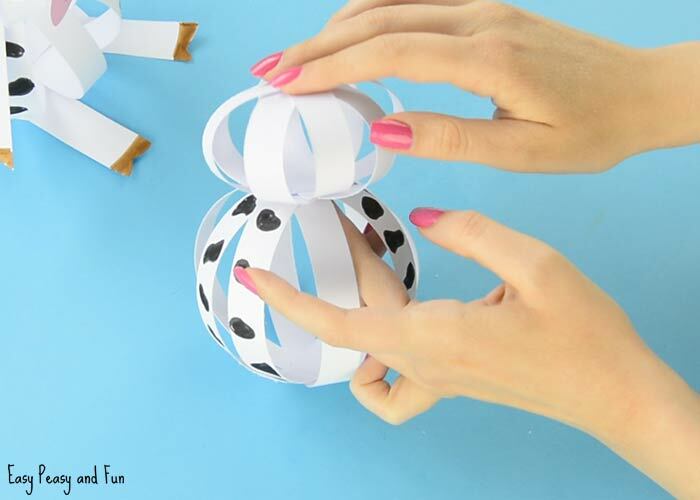 Glue the small ball on the top of the large paper ball. Cut a pink snout and draw nostrils. Glue it onto the small ball. Stick on two eye stickers or draw the eyes. 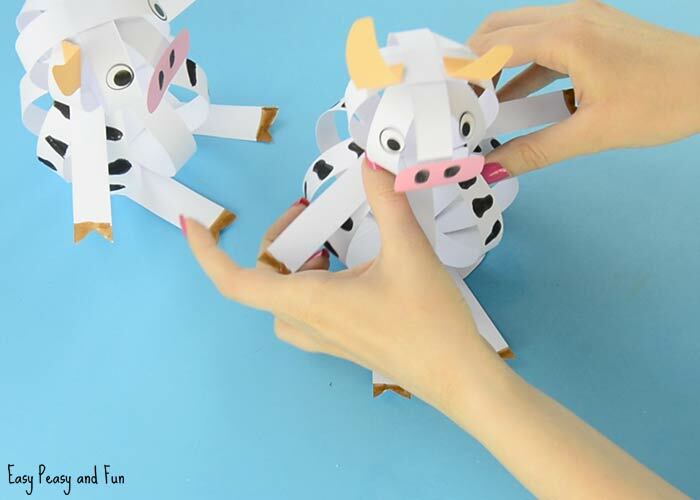 Cut the horns out of beige paper, fold them at the bottom, apply glue and stick them on the head. 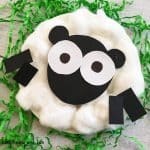 Cut a small circle out of white construction paper. 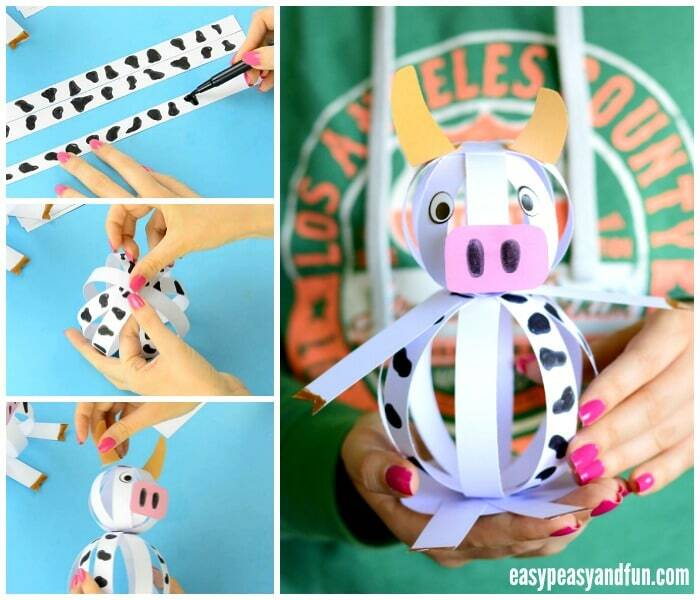 This will serve as base so that your easy cow paper craft won’t tip over. Cut two feet and glue them on the base. 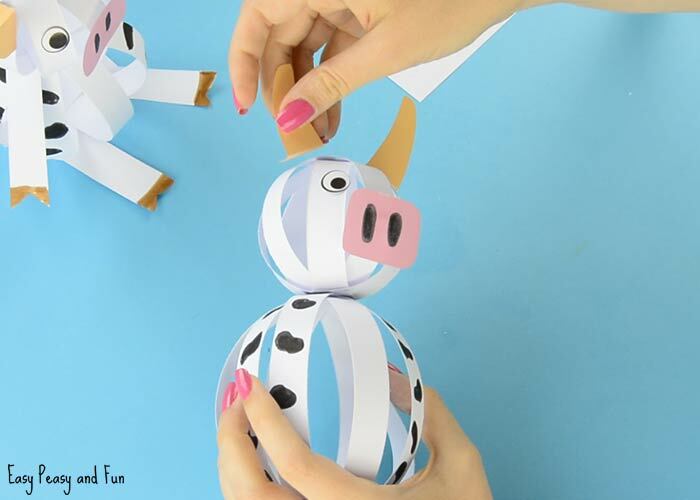 Glue the paper cow on the base. Cut two front legs and glue them on the cow. All done! 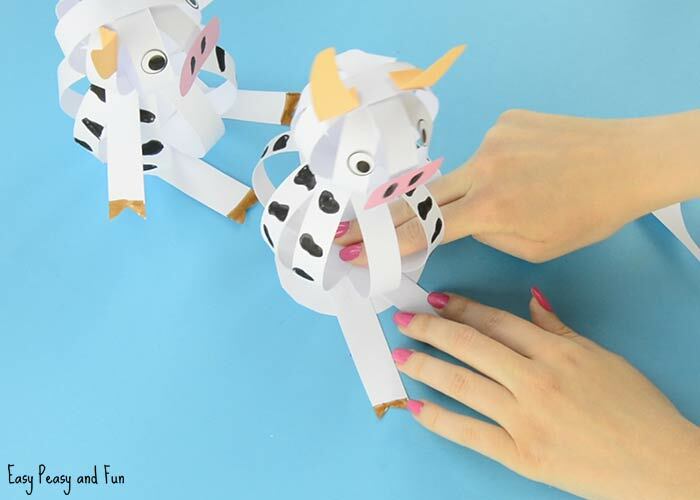 You have made an adorable and easy paper cow craft!